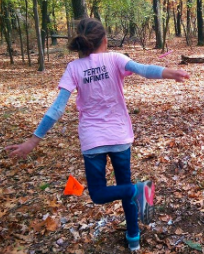 Disc golf is a game that can easy be embraced by a large and diverse pool of participants. Young players are taking up the game as courses show up in their neighborhoods. College students are embracing disc golf as a low-cost source of social interaction. 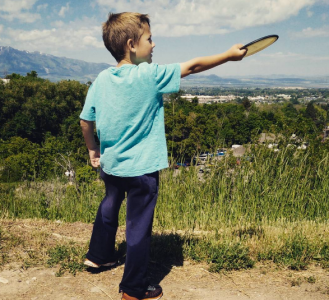 Families are not only playing locally, but are discovering great appeal in taking disc golf vacations to beautiful course locations. Since it takes very little financial commitment and the learning curve is so quick, disc golf has very few limitations to its growth and public appeal. New players are flooding to courses as quickly as they are created. One of the big advantages of disc golf is that it can be played by everyone from young children to senior citizens. To play disc golf you don’t need to be athletic, you don’t have to be wealthy, you don’t need to compile a team, and you don’t need large blocks of free time. 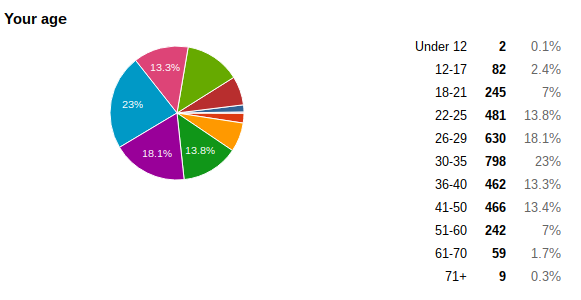 According to the 2016 state of disc golf survey (a voluntary online survey that was not likely to be completed by youth or older people who aren’t involved with social media), disc golfers can be found in all ages. There is a significant number of players in every age bracket. While most players surveyed are between 22-50, disc golf is also a great retirement activity with people playing into their seventies. One of the first time I ever played disc golf was as part of a family reunion activity. We had a great time with three generations trying to throw discs (not all of which were specifically made for disc golf) at targets. Growing up, I lived to play sports. I loved games and competition and wanted more than anything to be a college athlete. However, genetics were against me. As a Sophomore in High School I was 5’4″ and weighed 102lbs. The odds were against me to be a star on, or even make, the football or basketball teams. If disc golf had been a mainstream sport, I would have had a chance to compete in something where size and physical attributes have minimal advantage. To excel in disc golf, you don’t have to be the biggest, strongest or fastest. Anyone willing to learn proper technique and put in the effort to practice can be good at this sport. Paige Pierce is one of the top rated disc golfers in the world, and at just 5’4″ she can drive a disc more than 400 feet. At most disc golf tournaments there are specific divisions for women, juniors, and older players who are “past their prime.” The way the sport is set up makes it so that everyone can play together and be as competitive as they want. Specific groups have been set up to improve the sport for women and children. As these segments become more mainstream, the sport will grow even faster. Similar to golf, so much of the competition in disc golf is mental. Participants are often just trying to their previous scores, so competitive and more casual players can all play a round together and still have a good time. Unlike in other sports, you don’t need to find disc golfers of a similar skill level to improve yourself or to have fun. It doesn’t matter what shape, size, race, religion, marital status, or gender you are in the world of disc golf–this is a sport for everyone.